As springtime approaches, we want to share with you several family-friendly Atlanta area activities coming up in March. At Brock Built, we build homes and develop neighborhoods so you have convenient access to community festivities and events nearby. With this in mind, we put together this list of upcoming March events happening in and around Midtown for homeowners and potential new Atlanta home buyers. On Sunday, March 3, take your family to Piedmont Park for the KIDFITSTRONG Fitness Challenge. The event features a variety of activities as well as a 10-station obstacle course. Aside from the obstacle course, your family can also take advantage of outdoor games, rides, and food on-site. Head to Peachtree Street in Midtown on Saturday, March 17 for the 135th Annual Atlanta St. Patrick’s Parade, one of the oldest of its kind in the United States. Aside from watching the parade, you can register for the 4th Annual 5K Run/Walk taking place beforehand. After the parade, you can enjoy great food from local vendors as well as a variety of family-friendly activities. Mark your calendar for the Shamrock the Station event on Saturday, March 17 at Atlantic Station. When you’re here celebrating St. Patrick’s, you’ll enjoy listening to live music as well as watching Irish dance performances. With activities for all ages, this is the perfect event to get the entire family out of the house to have a fun day in West Midtown. Make your way to Piedmont Park on Saturday, March 24 for the Atlanta Science Festival’s Exploration Expo. Atlanta’s largest science festival, the Expo hosts more than 100 exhibits for visitors to explore. Additionally, there will also be demonstrations, on-stage performances, and chances for attendees to participate in experiments throughout the day. With Spring just around the corner, now is the perfect time to head out for some Atlanta family fun. If you’re in the market for a new home, we have several communities with convenient access to events happening throughout the city. 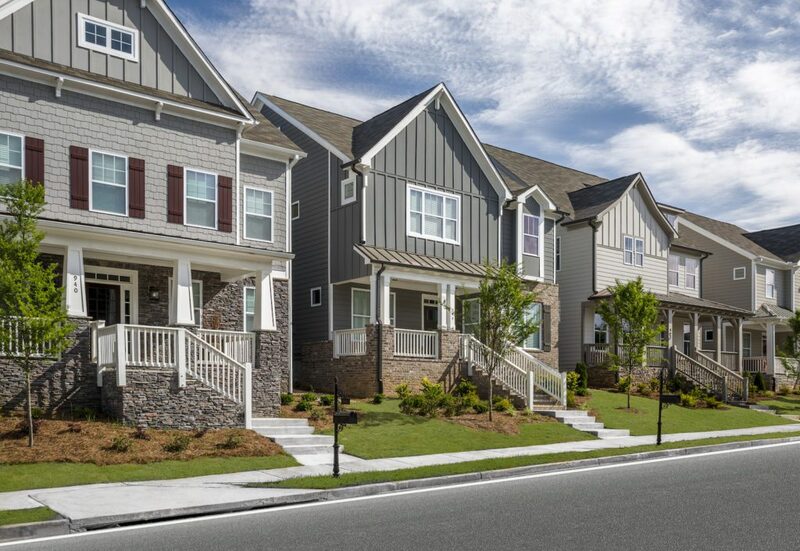 Browse our in-town neighborhoods and then contact us to learn more about the move-in homes available today.